Let’s start with Peter Snow first. Peter, who donated his kidney at age 63 as a Non-Directed-Donor, (NDD- donating to a stranger), and is also a member of our Donor to Donor team. Peter is an enthusiastic proponent for living kidney donation. Betsy is Peter’s wife & is also becoming a Non-Directed-Donor, NDD, a person who is donating altruistically. She hopes that her donation will start a chain of kidney donations that could lead to many people receiving a life-saving kidney. 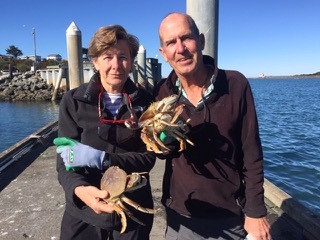 Like her husband, Peter, she is also in her sixties and Betsy has been cleared to be an NDD through the National Kidney Registry, (NKR), and will be donating November 8, 2018. We’re following her wonderful story here. Are you in this age group of 55+, nearing retirement and looking for a way to make a difference during your retirement? 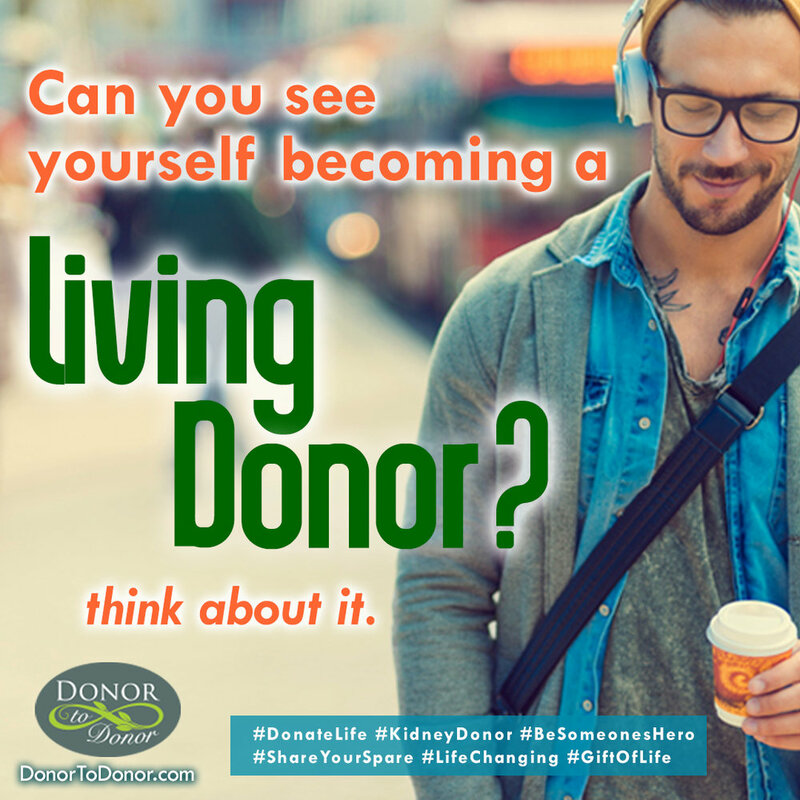 At a time where over 100,000 people are in need of a kidney transplant in the U.S.A, and will die an early death if they do not receive one, please consider becoming a Living Organ Donor. Betsy's Facebook Update! As we mentioned before, Betsy is 63 and donated as a #NonDirectedDonor, or 'NDD'. That means she was donating to a total stranger. Betsy was the fifth #LivingKidneyDonor in a chain of five. Her kidney went to Madison WI and she is looking forward to learning more about her recipient. Betsy & husband Peter are both on Team Donor To Donor and are wonderful advocates for kidney donation awareness. They hope to further educate & encourage people, focusing on "older folks" who may think they're beyond the correct age to donate. That is not always the case!